The project modernised a mixed livestock farm and vineyard. Electronic measurement technology was installed for the farm’s goat milking system, along with an automated feeding system. New mechanised vineyard management equipment was also acquired. Modernising of EU farm holdings can help make rural economies in the region stronger and more competitive. In this case a local farmer wanted to increase the efficiency of his goat milk production systems by investing in high performance automated equipment to milk the goats and control their diet to help maximise yields. In addition, cost saving machinery for pruning his commercial vines was considered important to the long-term financial viability of the business. Overall goals focused on improving the farm’s business competitiveness and safeguarding its financial future. This would be achieved by modernising the farm’s activities to improve efficiency and performance. A specific objective was to modernise the milking and feeding system for the farm’s 582 goats in order to increase production and performance. The farm also aimed to mechanise its 36 hectare vineyard to reduce high manual pruning costs. The main activities involved installing high-tech modern equipment and machinery. 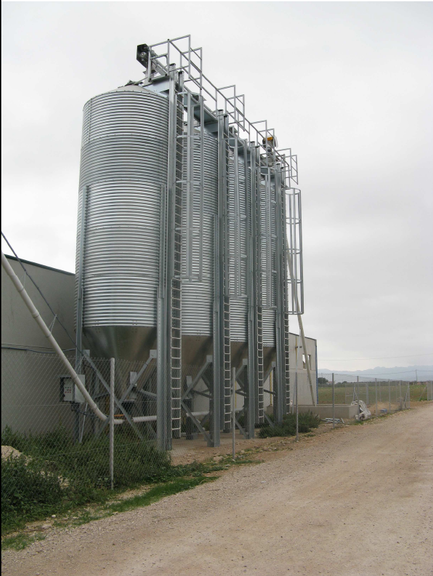 In particular, the installation of 24 milking points featuring electronic measurements, the installation of a funnel-shaped dispenser for receiving and dispensing cereal and grain, 4 cylindrical towers for storing grain and animal feed and 2 animal feed distribution units. In addition, the farmer purchased a 105 HP tractor and a pruning machine which were designed for working in vineyard conditions. Performance and competitiveness of the farm improved as a result of the project. The milking and feeding systems became more efficient. More and better storage of grains and animal feed was also achieved. Other agricultural operations on the farm (mainly related to the vineyard) also became more efficient. In this way, the farm has managed to adapt to market requirements. The investment in better installations and equipment contributed also to improved animal welfare. Many traditional livestock activities can experience difficulties coping with market pressures due to their farm’s (relatively) low efficiency which makes it more difficult for them to compete. Business failures on farms lead to various economic, social and environmental problems for rural areas and so RDP support for modernisation can have good multiplier effects for local areas and the wider EU.